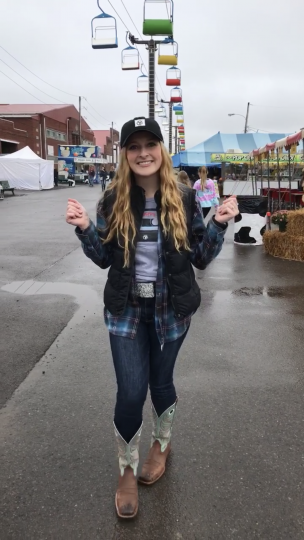 The Bloomsburg Fair is the place to be for more than one reason, but on Tuesday, my reason was to see Cole Swindell perform on the main stage. His concert was the last one announced for the fair lineup back in the beginning of June. My friends and I always wait until all the concerts are announced for this very reason: they usually save the best for last! The show was incredible, despite the rain that made the track a giant slop-bucket. 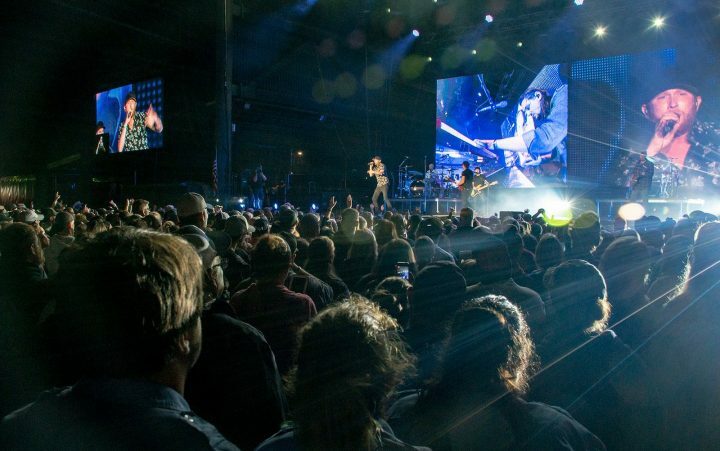 At the last minute, crews were dumping mulch on the track to soak up the water and mud and make it the best concert experience possible for the super fans in front of the stage. The energy on the track was palpable, and I could tell Swindell was feeling it too. “I didn’t know what to expect on a Tuesday night, but y’all brought it tonight!” exclaimed Swindell after his opening song. He said it was a concert he won’t forget anytime soon, and I certainly won’t either. The most emotional songs of the night were right in the middle of his setlist. 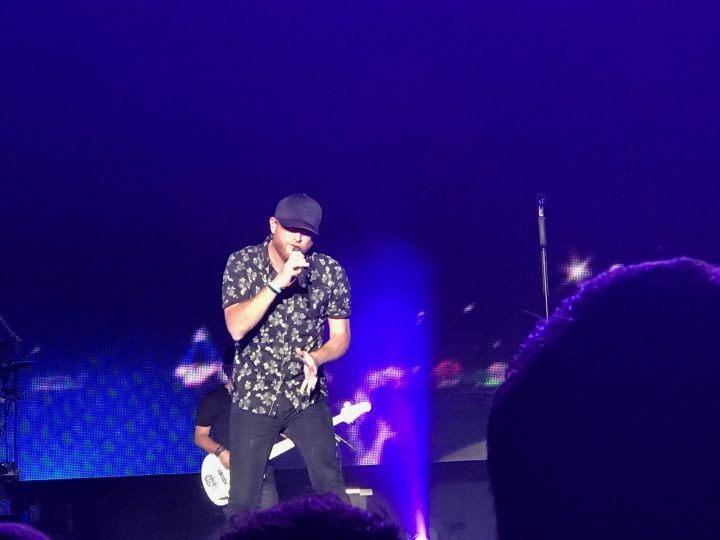 Swindell played another new song, “Dad’s Old Number,” which is definitely a tear-jerker about the loss of his father that is close to his heart, and “You Should Be Here,” which got a number of the people in the crowd emotional by the looks of things.